Leading sociologists from the University of Cambridge wanted to engage the public with their research on the impact of fertility technologies on society, whilst creating an opportunity to obtain further research insights from public audiences. We created a unique installation for an IVF trade show that would both disseminate and spark discussion on the latest research, and encourage attendees to share their own experiences. 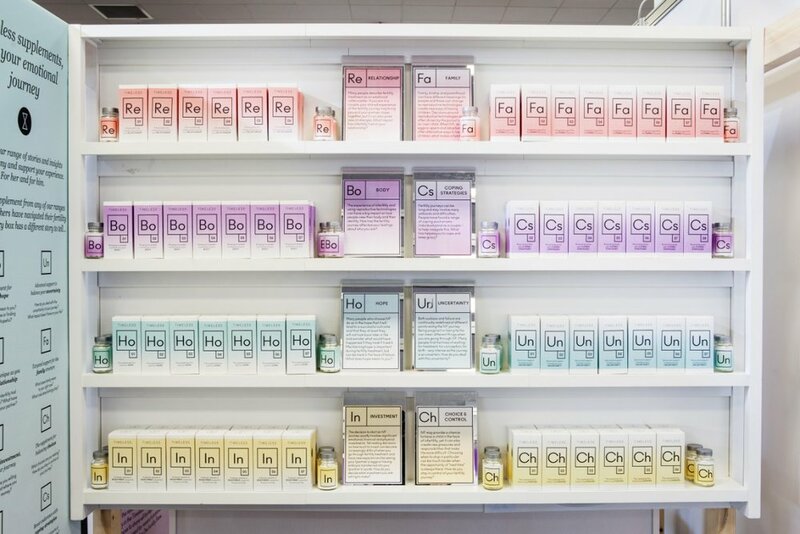 The installation was designed to look like a vitamin supplements range, but the supplements on display in fact contained people’s personal experiences of fertility treatment categorised under themes like ‘Choice’, ‘Uncertainty’ and ‘Relationships’. 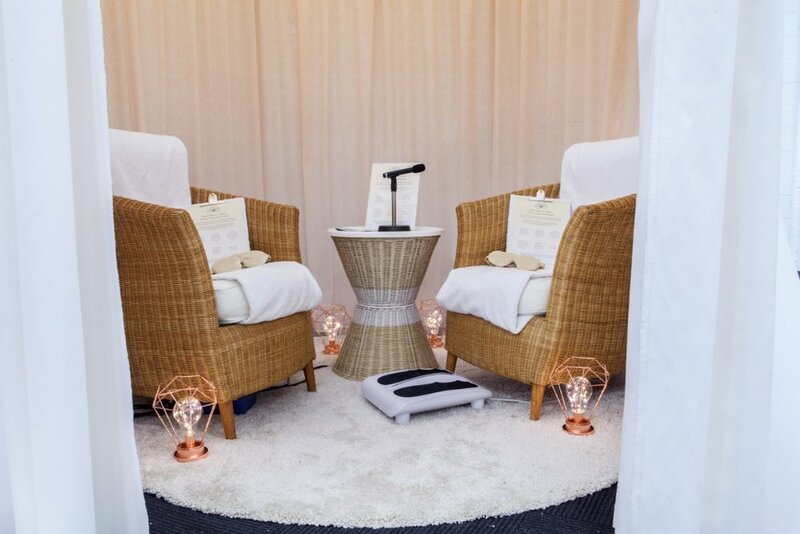 Attendees were invited to record their own stories in a specially-created private ‘relaxation pod’ and audio booth, where they could anonymously share their experiences after receiving a short treatment. 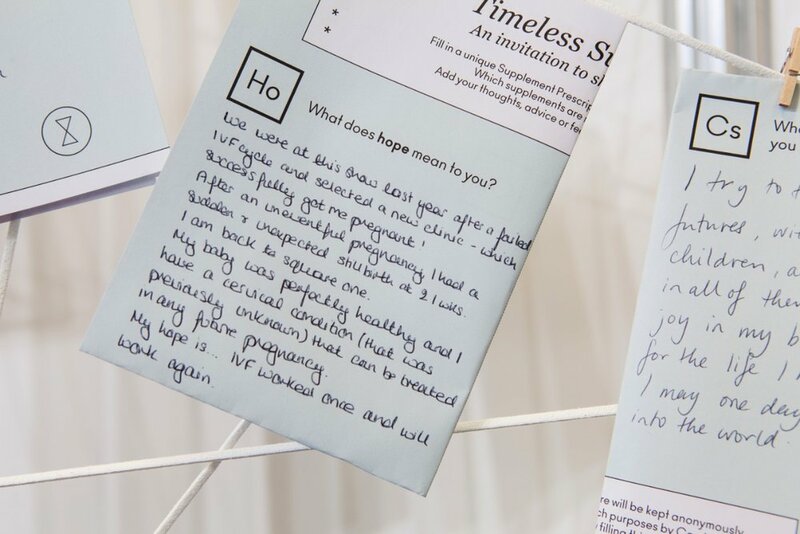 Public audiences could listen to these audio stories at our ‘insights bar’ and respond by contributing their own story or leaving written messages. Since its launch, the installation has gone on to pop up another three times and over 150 stories have been recorded so far – forming a significant contribution to the department’s research.